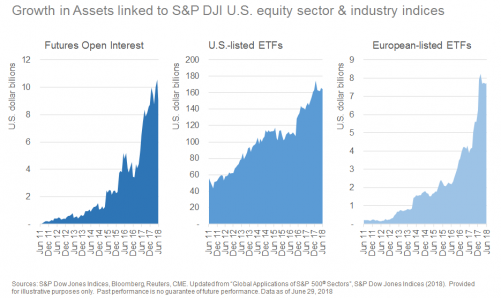 In recent years, products such as futures and ETFs linked to U.S. sectors and industries have become increasingly popular. 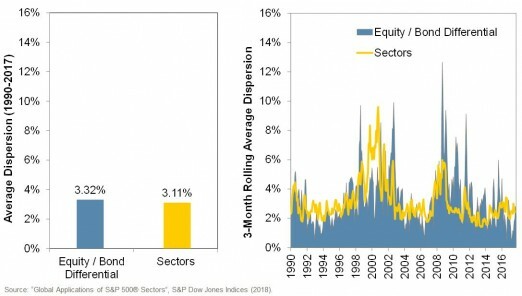 The sheer size of the U.S. equity market means that investors hoping to gain exposure to certain market segments – either to offset the inherent sectoral biases present in their local market, or as part of a tactical allocation – will necessarily require exposure to the U.S. For example, the U.S. accounted for the majority of market capitalization in 31 of 68 S&P Global BMI industries at the end of 2017. For investors adopting a sector rotation strategy, the potential benefit of favouring one sector over another is dependent on the differences in the returns to various sectors; the greater the difference, the greater the value of insight. This is where dispersion is useful – it provides a gauge of the expected difference in returns across sectors. 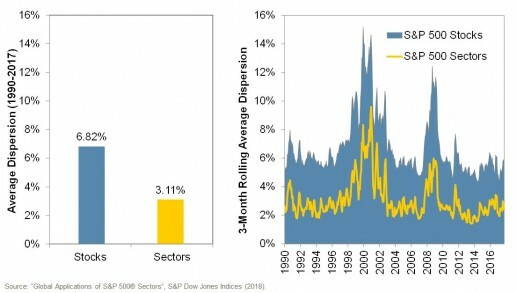 Historically, the average monthly dispersion among S&P 500 sectors has been 3.11%, which compares to 6.82% for S&P 500 stocks. It might therefore be said that roughly half of the value of stock picking could have been accessed through successful sector-selection. Trade tensions, a flattening yield curve, and political uncertainty in several markets have induced some market participants to cut positions, waiting for the risks to “blow over”. 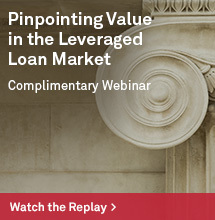 But leaving the equity market altogether can mean missing out on returns. 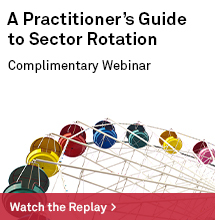 A potential alternative is to use sector rotation strategies to manage risk. 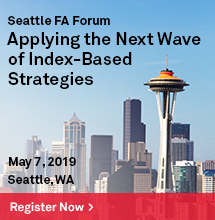 While remaining fully invested in equities, changing the sectoral mix of an equity portfolio can have an impact on performance that is comparable to swapping out equities for Treasury bonds. Exhibit 3: Sector changes within an existing equity allocation can be comparable to switching between equities and bonds. Companies with shared sensitivities to particular economic factors are often found in the same sector. For example, the Financials sector tends to outperform in periods of rising inflation, while the Utilities sector tends to falter. 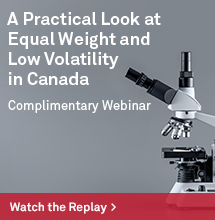 Macro-economic considerations may help to inform which market segments might benefit from identified trends, or diversify risks within a pre-existing portfolio. This last chart was provided by Rebecca Chesworth from SSGA, who joined our webinar along with Sam Stovall from CFRA. The full replay of the event – and a discussion of all of these charts (and others) – may be found at this link.